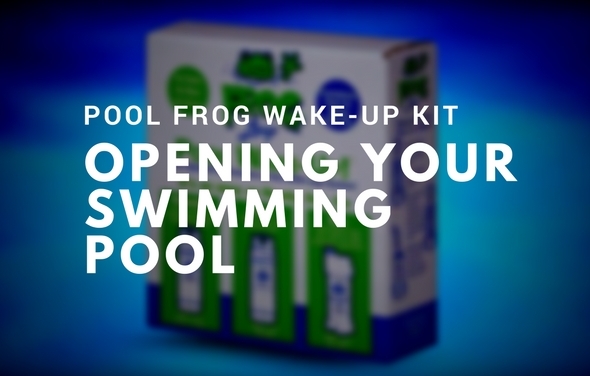 The Pool Frog Leap System will turn your above ground pool into a fresh mineral water pool. There are many benefits of having a mineral water pool. For one, the pool water will be cleaner. For many years most above ground pool owners have been using powder chlorine or chlorine tablets to clean their pool water. 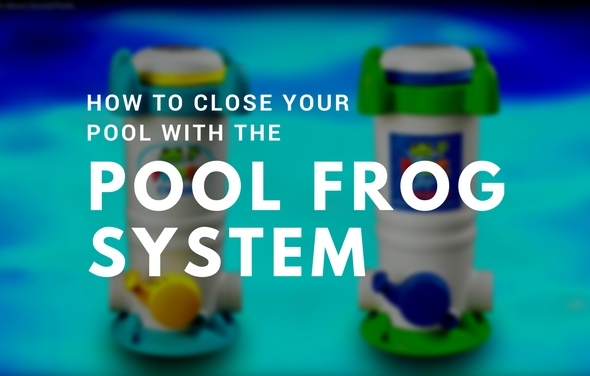 The Pool Frog Leap System will leave your pool cleaner because it kills bacteria in two ways, with a blend of natural minerals and low levels of chlorine. 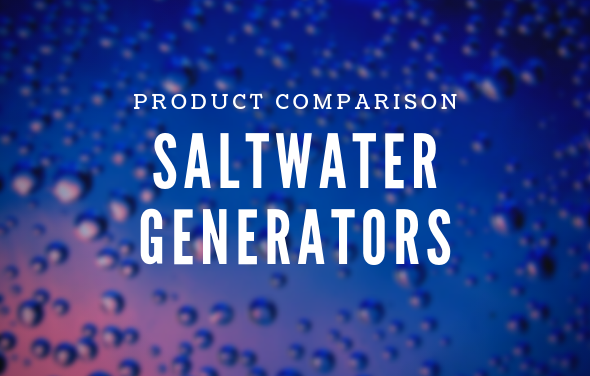 Using a combination of both sanitizers will help keep the pool water cleaner than just the chlorine alone. Above ground pool owners know that sometimes their pool may experience a bit of cloudiness from time to time. This tends to happen after a lot of people have been in the pool at the same time or after a rain storm. The pH level of the water is affected by the oils on your skin and from the acidity of rain water. These are some of the main causes of cloudiness in a pool. 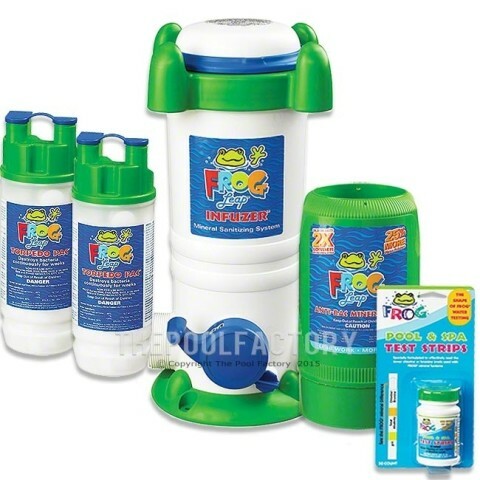 The Pool Frog Leap System helps maintain pH balance and uses up to 50% less chlorine for better water clarity. Many people associate swimming in a pool with red, itchy eyes and a chemical feel on their skin. 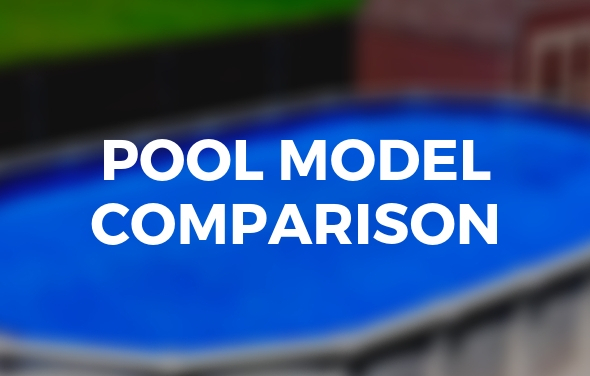 This is only the case when the pool’s chemical levels are not properly balanced. Too much chlorine will cause eye irritation, fade swim suits and even produce a strong odor. 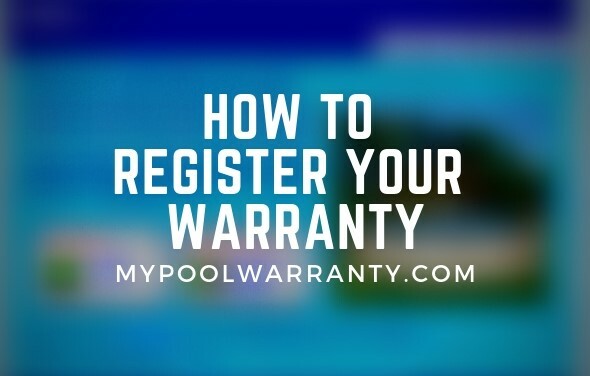 Large amounts of chlorine will also be harmful to any metal components on the pool, as well as anything surrounding your pool that may get splashed with water. 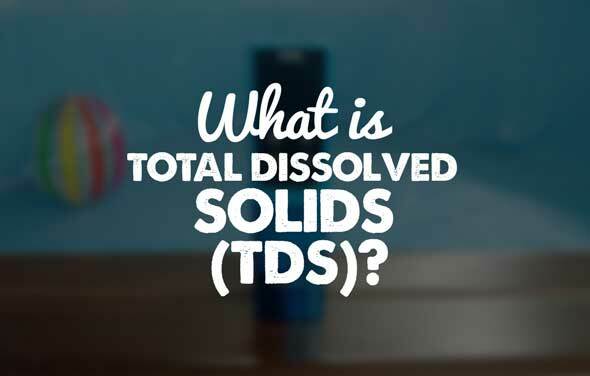 With a mineral water system these problems are eliminated because minerals condition the water for softness. The amount of chlorine in a mineral water pool is 50% less than a traditional chlorine pool. You will be left with clean, clear water that will not hurt your eyes, irritate your skin or discolor your swim suit. 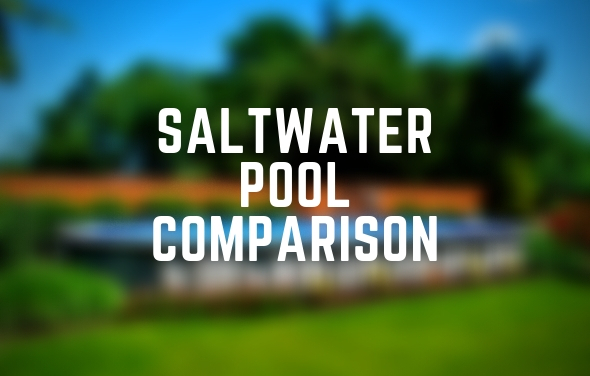 Owning an above ground pool is a luxury that comes with a certain amount of responsibility. While caring for a pool is not the most difficult task, it does require regular maintenance. The most important of these tasks will be keeping the water clean. Having a mineral water system will make this job a lot easier for you. 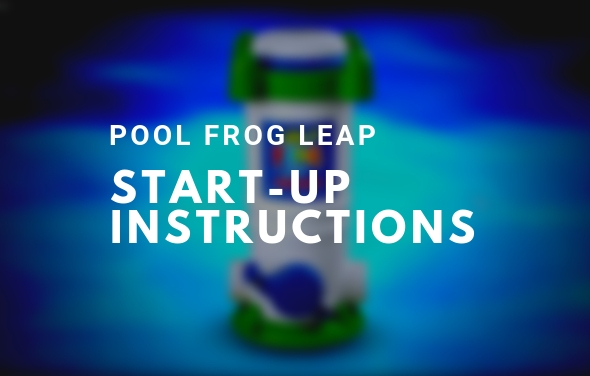 With the Pool Frog Leap System you will never have to touch or measure chlorine because the Torpedo Pacs come pre-filled. No longer will you have to carry around a big bucket of chlorine and worry about inhaling fumes or the chemical touching sensitive skin. The pre-filled containers will last longer than the buckets of chlorine you would otherwise have to purchase. They are also recyclable which is better for the environment. 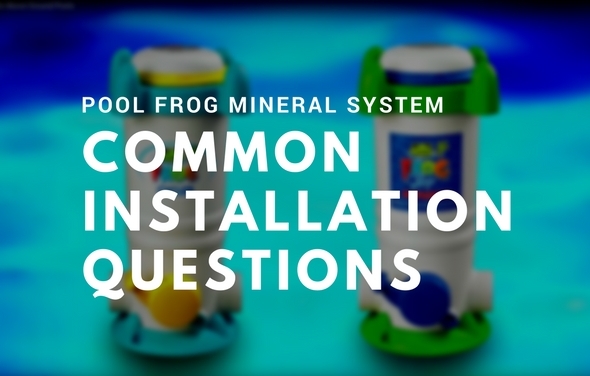 FROG Leap utilizes the proven technology of FROG minerals with the increased value of 25% more water polishers and easier pool start up and winterizing. The patented control dial on the front of the Infuzer lets you manage the amount of water flowing through the system. Water is circulated upward into the Anti-Bac Mineral Pac and chlorine Torpedo Pac simultaneously.